- whoever clubbing at Penang island please use ferry to back to mainland Butterworth. If you would like to find out latest development kindly visit http://www.penangmarathon.gov.my/ or call 016-4110000 to find out. 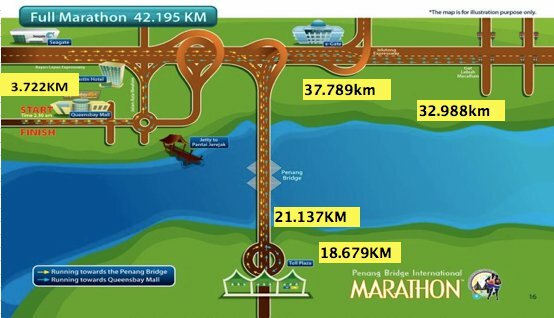 Penang Bridge International Marathon would be start running at 2:00am for the full marathon category followed by half marathon at 3:00am. Cari Runners going to rock the PBIM once again! Gathering time: 12.35am till 1.30am.. and group photo will be at 1.35am! This going to be my 1st ever running full marathon in Penang since im 1st ran the Penang bridge during my secondary school day form 5 in 2000 which was about 10 years ago!